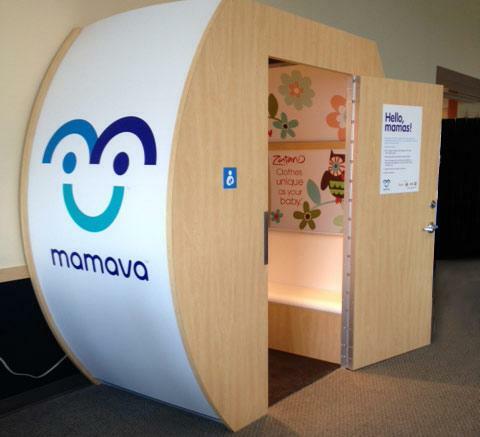 Bronson Medical Center in Kalamazoo Michigan offer a Mamava lactation pod (portable nursing nook) to moms who need a quiet and private space to express breast milk. The 4-foot-by-8-foot spaces, which are equipped with two benches and an electrical outlet. Their doors fully shut, and the rooms are large enough to fit a family of four plus luggage. There is however no sink due to the small space and lack of plumbing or running water.